In the modern world most in need of the help children! Today, the company "Auto Management" in parallel with the organization and development of private business believes its Mission to organize the transportation of children-orphans and the disabled. We arrange comfortable transport children in vans and buses for tours, picnics, exhibitions and workshops. It is our duty to help these children feel loved and are not deprived of care. Children transportation is a service, requiring great responsibility on the part of the customer, and on the part of the carrier. For this service the company "Auto Management" has all the relevant documents. Our company provide all security measures for the transportation of young passengers – maintain vehicle in good technical condition, convenience. Special attention is paid to the selection of driving staff. 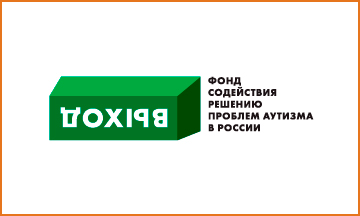 At the moment our company helps the Fund to facilitate the solution of problems of autism in Russia "EXIT". We provide free transportation (buses, vans) to transport children and adults with autism spectrum disorders (ASD), as well as for transfer and transport of participants of charity events and parties (actors, musicians, etc.). Watching further the lives of their charges, we with caring attitude to all who have already helped. - 24.12.2014 group "Metropolis" will play a concert in aid of the centre for social rehabilitation of people with autism. "Auto Management" organizes transfers of artists from the Moscow station to the hotel, and the movement of participants around the city.